Sometimes in the early stages of pregnancy or when you need to diagnose with a small delay of menstruation, the doctor prescribes a vaginal ultrasound examination. What is it and is it dangerous for a child? The fact is that when the pregnancy is still small, classic ultrasound through the abdomen may not show. Another common cause of endovaginal examination – ability to identify ectopic pregnancy and other risks of the development of the fetus at a very early period. Endovaginal ultrasound can reveal the presence of pregnancy (how-paced, and endometrial); uterine fibroids and pathological changes that threaten the continuation of the pregnancy. In addition, it can be used to assess the condition of the amniotic space. The classic ultrasound procedure women have long been accustomed, but what is the vaginal ultrasound? The methodology of this survey is very simple: in the vaginal cavity, we introduce a special sensor is protected by a condom. It should be noted that this diagnosis does not require of fullness of the bladder, so many women find it even more comfortable than conventional ultrasound. The endovaginal transducer allows the physician much better to examine internal organs, making diagnosis more accurate. For example, it is possible to detect diseases such as congenital anomalies of the uterus, endometriosis, fibroids, or leiomyoma, hyperplasia, polyps, and malignant tumors. Does examination of the fetus? Some women are afraid to go for a vaginal ultrasound, believing that such examination may harm the pregnancy or even cause miscarriage. This fear is totally unfounded. Like conventional ultrasound, vaginal diagnosis is a modern and safe method of controlling the development and course of pregnancy. If you talk about some unconventional way of conducting such a study, it also is not a threat. The sensor is very far from the embryo and no way to hurt him, ultrasound is equally safe for all types of ultrasound diagnostics. But do not think that the time a vaginal ultrasound is modern and safe, it is performed throughout pregnancy. 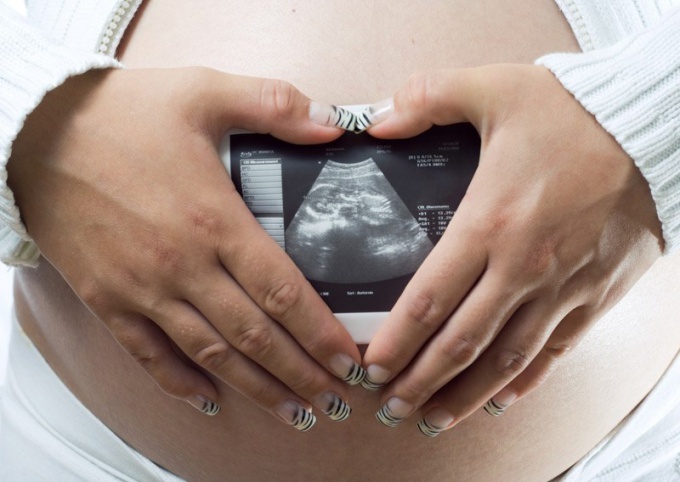 In the second trimester, when the fetus is already large enough, it is easy to detect with a classical examination, and additional shifts are not required. Occasionally the doctor prescribes the us to diagnose the state of the cervix or amniotic fluid.